Vampire Diaries:the Struggle,the (pb) Smith, L.j. 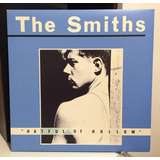 The Smiths (the Queen Is Dead) Remaster, Ramones, The Clash. The Smiths (the Queen Is Dead, 2cd) The Cure, Ramones, U2. 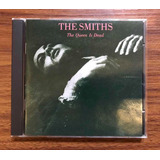 The Smiths - The Queen Is Dead - 2011 Remaster - Cd Nuevo! 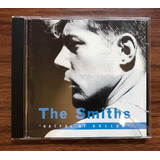 The Smiths - The Sound Of The Smiths Cd Nuevo Y Sellado !! Housemartins (london 0 Hull 4 Cassette) The Smiths, Bodeans. Vampire Diaries:the Awakening And The Struggle,the Smith, L.
Vampire Diaries:the Return:nightfall (pb) Smith, L.j. Vampire Diaries:the Return:shadow Souls,the (pb) Smith, L.j. Vampire Diaries:the Fury And Dark Reunion,the (pb) Smith, L.